France unlike England and the US has some very different Christmas traditions. The main one being they eat Christmas dinner/the most important meal of Christmas “Le Reveillon” either on Christmas eve or the early hours of Christmas morning. Montpellier, although a very Mediterranean French city, is no different. They follow this tradition throughout the city and you’ll notice most of the food stalls at the Christmas market will sell these tasty French delicacies. 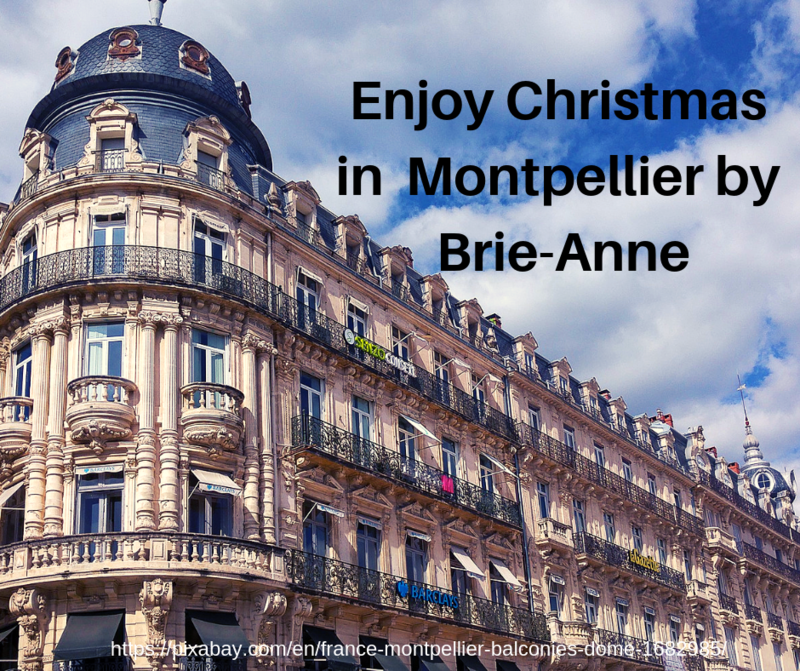 During the festive period, Montpellier has many events. 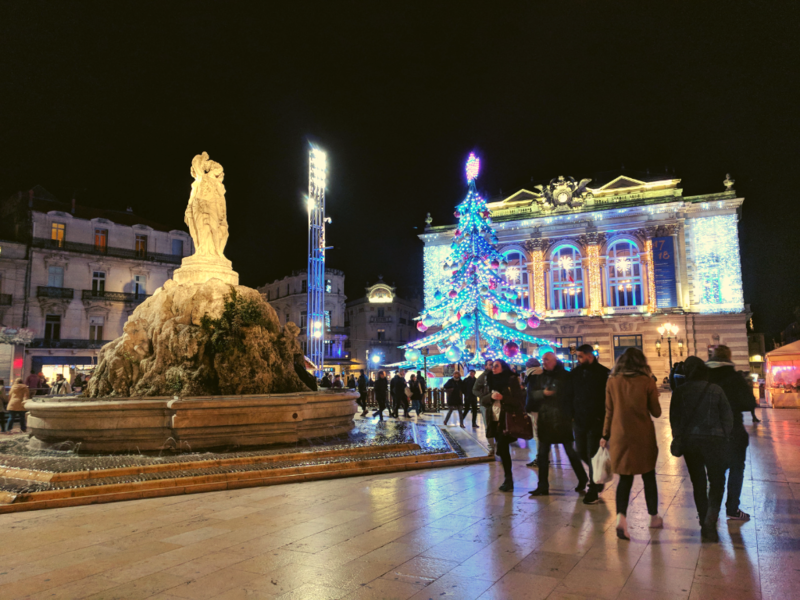 The main is, of course, the Christmas markets however, another event that takes place in Montpellier over Christmas is the annual “Coeur de Ville en lumières” (Heart of City in lights). This 3 day event is a magical light show across the whole city centre where they project incredible moving artwork, by French artists, onto the most recognisable and iconic sites across the town. It’s a remarkable display which they hold on the first weekend of December to open up the cities Christmas festivities. The previously mentioned Christmas markets “Les Hivernales” are the not to miss Christmas event in Montpellier. They are held in the centre of the city, the Esplanade Charles-de-Gaulle, which becomes a cultural hub of live music, Gift stalls, French Christmas foods and, of course, locally sourced wine.